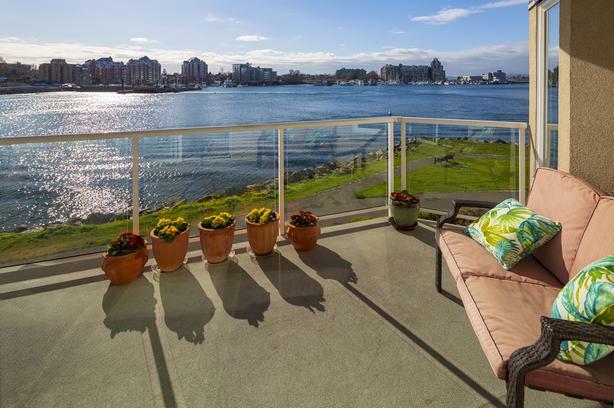  Log In needed $1,099,900 · Luxury Waterfront Suite on Victoria's Inner Harbour! Luxurious waterfront suite in the Prestigious Queensport Condominiums! Offering breathtaking panoramic views of Victoria's World Famous Inner Harbour, Olympic Mountains, the Empress Hotel, Parliament Buildings and Downtown Victoria! Offering Living room with Gas Fireplace, Separate Dining area, Gourmet Kitchen with Breakfast Nook, Spacious Master Bedroom with Splashy Ensuite, 2nd Bedroom/Office or Den, 2nd Bathroom, In-suite Laundry, Two Storage Lockers and Secured Underground Parking! Sit back on your South-facing deck and watch the world sail past! Don't miss this rare opportunity - Call Today!